Novak Djokovic has won two Grand Slam titles in 2018. Wimbledon and US Open champion Novak Djokovic and seven-time Grand Slam winner Venus Williams have been confirmed to play in this year’s Mubadala World Tennis Championship (MWTC), to take place in Abu Dhabi between December 27-29. The star duo are amongst the first names to be announced for the three-day tennis spectacle in the UAE. MWTC, now in its 11th edition, is set to once again thrill fans and their families. With a line-up featuring six top male players and two leading female players, this year’s event is guaranteed to kick-off the 2019 tennis season with a bang. Djokovic, who is the current world number three and has roared back to form in 2018 after injury problems – winning Wimbledon in July and the US Open last month, has triumphed at MWTC on three separate occasions from his five previous visits. “It has always been an honour to play in Abu Dhabi and I can’t wait to see my fans once again this year. The Championship offers the perfect opportunity to fine-tune my preparations ahead of the Australian Open and I am really looking forward to competing there again,” the 31-year-old Serbian said. Joining Djokovic in Abu Dhabi and making her debut in the tournament, will be American great Venus, who has 49 career titles to her name. But it’s not just the tennis action that is set to thrill the crowds, the Tennis Village will once again be offering exciting off-court action with guaranteed fun for all over the three-day event. Each day will take on a new theme, with Day One centred around families, Day Two designed for foodies and last but not least, Day Three dedicated to ladies. In keeping with the theme of Day One for families, organisers have announced free entry for children (age 2-12) on the opening day of the Championship (with the purchase of an adult ticket), ensuring this year’s event a must-attend for the whole family and giving everyone a great opportunity to see their favourite players in action. To avail this special offer, fans must call 800 86 823. 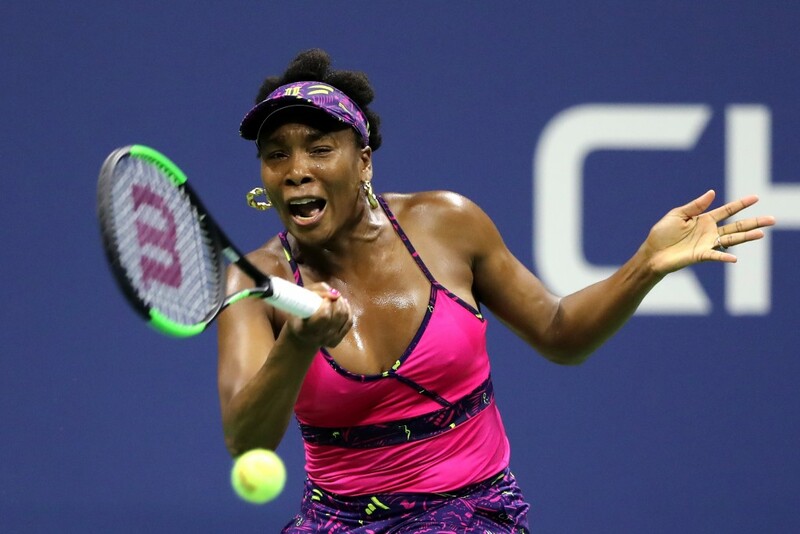 Legend of the game: Venus Williams. Rashed Al Harmoodi, Head of External Corporate Relations for Mubadala, the title sponsor of the tournament commented: “We’re delighted to return to the Capital for MWTC’s 11th year and are looking forward to welcoming three-time winner Novak Djokovic and Venus Williams on her Championship debut. John Lickrish, CEO of FLASH Entertainment, added: “The Mubadala World Tennis Championship provides fans unrivalled access to the world’s top tennis players. We’re delighted Novak Djokovic will be returning to the tournament and thrilled to welcome Venus Williams to Abu Dhabi for the first time. The decision to welcome female players last year proved extremely popular; supporting women in tennis is something we will continue to do, especially as the tournament grows in prominence on the global stage. Held at the International Tennis Centre at Zayed Sports City in Abu Dhabi, tickets are priced from AED 100 and can be purchased from www.ticketmaster.ae or by calling 800 86 823 and all Virgin Megastores across the UAE. The 10th edition of the Mubadala World Tennis Championship was undoubtedly the craziest in the tournament’s decade-long history, with more surprises than anyone could have bargained for. 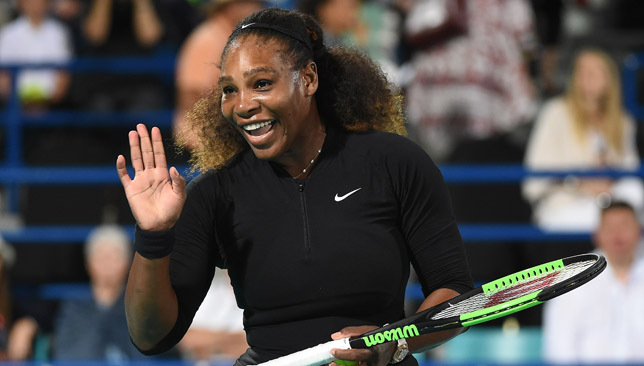 With the stream of line-up changes and last-minute withdrawals, the addition of a women’s fixture for the first time at the MWTC and the shock appearance of Andy Murray, there’s plenty to reflect on following the weekend’s action in Abu Dhabi. Serena Williams was clear in her post-match press conference, after losing a tight clash with Jelena Ostapenko: She is not done with the sport yet. She is intent on making a comeback, even saying she expects her daughter to attend her matches when she is older (Olympia is currently four months-old). But the American 23-time Grand Slam champion is much less clear when discussing her short-term plans. Where is she heading after Abu Dhabi? “I don’t know,” she responded. Is she going to play the Australian Open. “I’m taking it one day at a time,” she said. 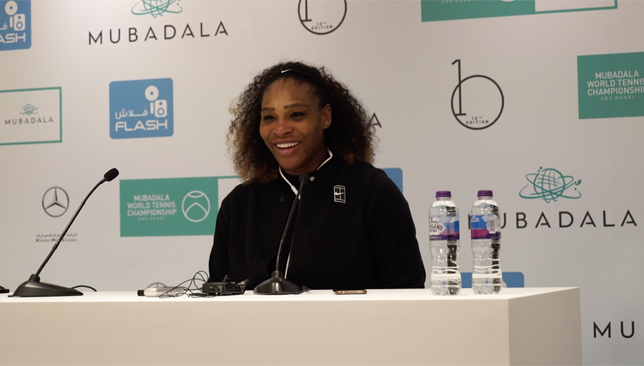 The most telling part of the conversation with Serena was when she described the “trepidation” she felt at the start of her match with Ostapenko. Serena was not moving well in the first set and she admitted she was “afraid” at the beginning and didn’t have confidence in her body or her shots but that her fears eased as the match went on. Serena had a baby a mere four months ago. Expecting her to head to Melbourne to defend her Australian Open title is a huge ask. Only she can decide whether she is ready for it, but as of right now, the 36-year-old says is not sure if she’s ready to get back on tour just yet. It will be a big surprise if she turns up in Melbourne. But not a surprise if she returns to the circuit, when she’s ready, and wins more titles. South Africa’s Kevin Anderson claimed three solid wins in Abu Dhabi over the past three days, defeating world No. 10 Pablo Carreno Busta, world No. 5 Dominic Thiem, and world No. 20 Roberto Bautista Agut to become the first player outside Rafael Nadal, Murray and Novak Djokovic to lift the MWTC trophy. The US Open runner-up looked in great form in the UAE capital, and admits he feels more and more confident in his game and his abilities now. Anderson couldn’t play the Australian Open in 2017 because he was out injured. Now healthy and beaming with confidence, the big man with the big serve could be a real threat Down Under, and throughout the year. Djokovic pulled out of Abu Dhabi and Doha, Nadal withdrew from Brisbane, Murray is in Brisbane but looked rusty in the UAE capital. Stan Wawrinka and Milos Raonic were a no-show in Abu Dhabi. Kei Nishikori is out of Sydney… There are so many question marks and little answers about the readiness of most of the players who have been at the top of the sport in recent years. What does that mean? It means Roger Federer can sweep several big titles early in the season if he’s up for it. It also opens up opportunities for the likes of Grigor Dimitrov, Alexander Zverev and Dominic Thiem, to step up to the plate and go for a maiden Slam Down Under. Lots of surprises are in store in 2018. Judging from the fanfare around Serena and Ostapenko, and the crowds that turned up for their practices and their match, it’s a no-brainer to bring back at least one women’s fixture to the MWTC next year. It was the first time women’s tennis was played at the tournament and organisers admit they will speak to the event owners, FLASH, about all the different possibilities of making it an annual thing. The tournament format is compact, played over just three days, but rethinking the set-up and adding women’s matches is doable and a great idea. Let’s see if it happens. Thiem was very forthcoming when discussing the “breakdown” in confidence he experienced post-US Open. The Austrian looked in good shape and form during practice and in his matches against Anderson (despite losing in two sets) and Pablo Carreno Busta (Thiem won in two). Adding Galo Blanco to his team is also a positive and perhaps the Spanish coach and can help Thiem adjust his schedule and advise him to be wiser when it comes to picking tournaments. Thiem’s conviction in his statements regarding his restored self-belief are positive sign the world No. 5 is good to go for the new season.